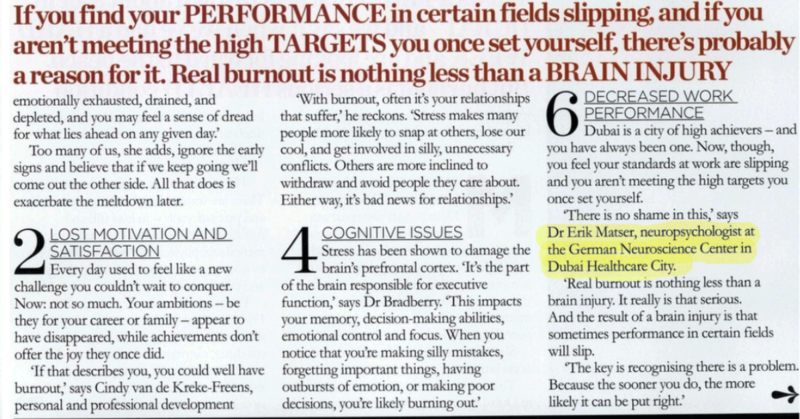 Great Friday magazine article about how to tackle burnout in Dubai. Dubai is a city of high achievers – and you have always been one. Now, though, you feel your standards at work are slipping and you aren’t meeting the high targets you once set yourself. ‘There is no shame in this,’ says Dr Erik Matser, neuropsychologist at the German Neuroscience Center in Dubai Healthcare City. 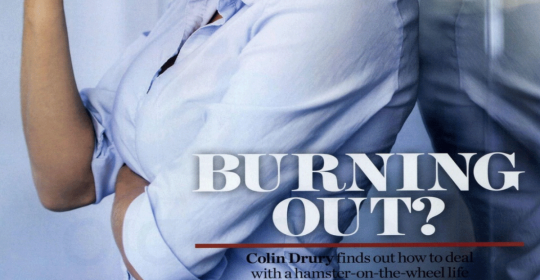 ‘Real burnout is nothing less than a brain injury. It really is that serious. 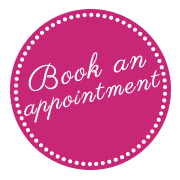 And the result of a brain injury is that sometimes performance in certain fields will slip.